American Peter Jennings vividly remembers the day he was called into his CEO’s office. “He said, ‘I have a question for you. 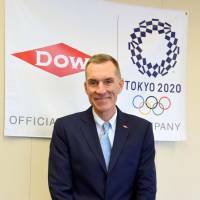 Would you be interested in another overseas assignment as president of Dow in Japan?’ I was totally surprised, but thrilled to have the opportunity,” Jennings recalled during a recent interview in Tokyo. Jennings had already completed one successful international posting for his firm, spending six years in Hong Kong, but his educational background and corporate experience had hitherto been on the legal side. It came as a surprise at first that his company asked him to take on what he calls “primarily a people job.” However, in hindsight he noted that it wasn’t particularly unusual in light of Dow’s corporate culture. Jennings is always aware that there is something new to learn, no matter how long one has been on the job. “You can take your job seriously but try not to take yourself too seriously. I think a characteristic of top executives is being humble, regardless of their success,” he said. Having had a presence in Japan for over 60 years, Dow is now entering an exciting new phase following a merger last September with DuPont, another American multinational. The next stage, slated for completion by mid-2019, is to draw on the respective strengths that each of the two firms brings to the table, spinning off into three independent entities. These three new companies will focus on agriculture, material sciences, and specialty nutrition and electronics products, and will operate under a common theme of excellence in science-based innovation. Dow Japan will be aligned with the material sciences side, and Jennings is looking forward to building on the firm’s core strengths in the months ahead. “My job today is to ensure our people and business are prepared for a successful launch of the new business in 2019, in terms of strategy, innovation and technology,” he said. As one well-versed in both American and Japanese corporate practices, he also plays an active role in the wider business community through his current responsibility as vice president of the American Chamber of Commerce in Japan. “If I could sit down and tell Japanese officials one thing, it is to be more aggressive with labor reform. It is hard to attract foreign investment to build plants and research and development sites, for example, when we are confronted with issues such as hiring a person at age 25, then having to keep them employed for life,” he pointed out. 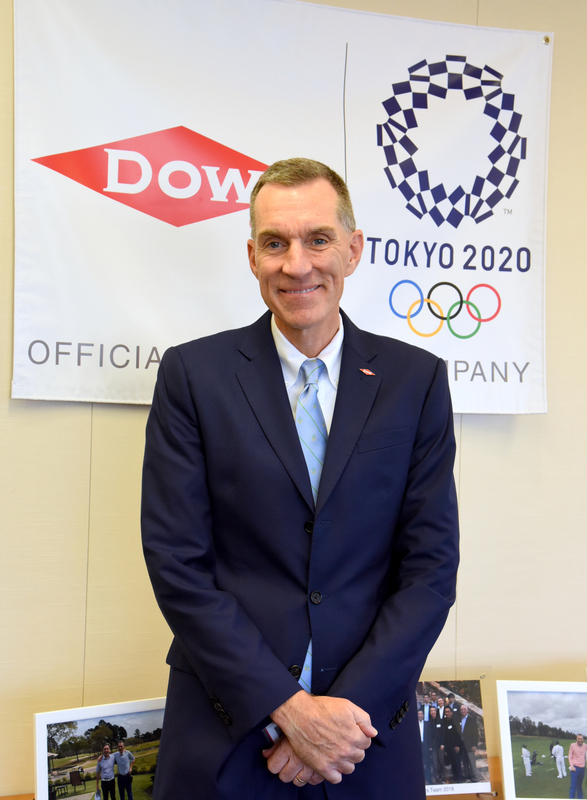 Jennings spoke with pride of Dow Japan’s efforts to promote workplace diversity and work-life balance, noting that his firm can offer employees a competitive advantage in these areas. “Dow wants employees to be involved in their community and have interests outside work. If you are in the office 16 hours a day, that is not a healthy and motivating lifestyle. I tell them to go out and volunteer and get involved; to have something they are passionate about,” he said. Worldwide, Dow is committed to supporting initiatives for educational and career opportunities in the fields of science, technology, engineering and math (STEM), particularly for young women. At the international level, women are under-represented in every region of the world in terms of STEM degree holders and the workforce, and Japan lags behind other developed nations in this respect. Dow Japan partners with the Tomodachi Initiative, spearheaded by the U.S. embassy in Tokyo and the U.S.-Japan Council. Originally founded to support relief efforts in the aftermath of the 2011 Great East Japan Earthquake, Tomodachi, which means “friend,” seeks to support the next generation of global citizens through programs for young people in Japan and the U.S. Each year, Dow helps around a dozen Japanese female undergrads go to Rice University in Texas for a summer school program. Looking ahead, Jennings wants to ensure the firm is diverse in terms of the “three Gs,” namely generational, gender and geographical. “Do we have a wide range of ages and both genders; have we prepared our Japan employees for global roles and do we bring in people from other locations to Japan?” he mused. Peter Jennings graduated with a bachelor’s degree from Albion College, then went on to earn a Juris Doctor from Wake Forest University. Jennings joined Dow as an attorney in 1985 for the firm’s Michigan Operations, and within a year was representing the firm in major legal cases. In 1998, he moved to Hong Kong after accepting the role of legal counsel for Dow Pacific, and provided key legal advice for all major commercial and financial issues during his six years in the region. After steadily taking on increasingly major roles back in the United States, Jennings took on his current role in Tokyo as president of Dow Japan and Korea, along with associate general counsel for Asia Pacific. He is a member of the state bar in Texas and Michigan, and is the vice president of the American Chamber of Commerce in Japan. His interests include golf and travel.